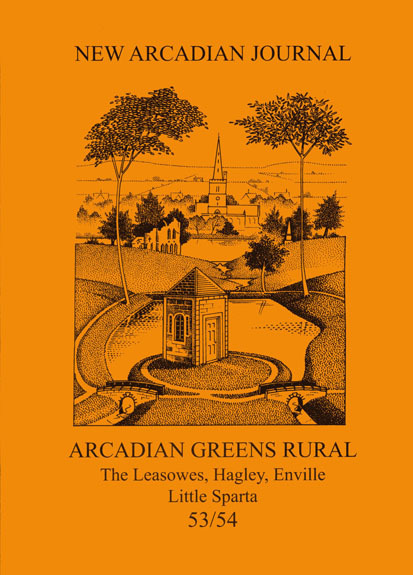 ~ The title ‘New Arcadian’ was coined to intimate a contemporary engagement with the landscape garden, and to compliment Ian Hamilton Finlay’s Little Sparta. For more information, see the Dumbarton Oaks website. ~ Little Sparta was the name Finlay conferred on the garden around the family’s home at Stonypath in 1980, and which he and Sue Finlay had begun to create in 1966. 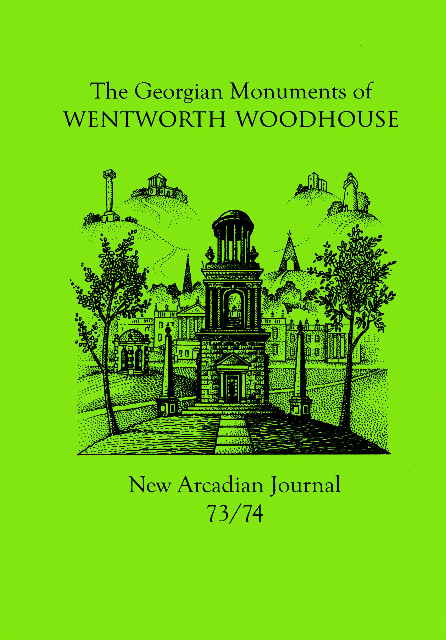 ~ Finlay’s landscapes and struggles feature in numerous editions of the New Arcadian Journal. He also composed works especially for the NAJ as well as for the New Arcadian Broadsheets and Cards. ~ Throughout the 1980s, the New Arcadian Journal championed Finlay’s cause during the Little Spartan and other Wars, and Broadsheets and Cards were generated as propaganda. ~ Patrick Eyres was introduced to the Finlays at Stonypath in 1978 by Ian Gardner, who had long been one of the poet’s collaborators. This meeting established the lifelong affinity that led Finlay in 1999 to ask Eyres to become a member of the Little Sparta Trust (the charity that seeks to conserve the garden in perpetuity). For more information, see the Little Sparta Trust website. ~ In 2017, Patrick Eyres stood down from the Little Sparta Trust. He continues to contribute to the annual garden walk-and-talk that identifies short and long term conservation issues. 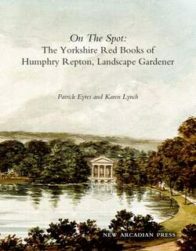 ~ In 2007, Sue Finlay’s important memoir about the creation of the garden at Little Sparta was featured in NAJ 61/62.